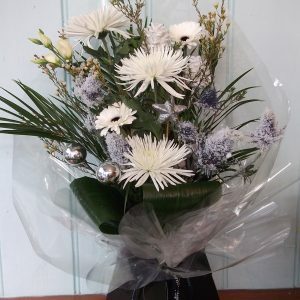 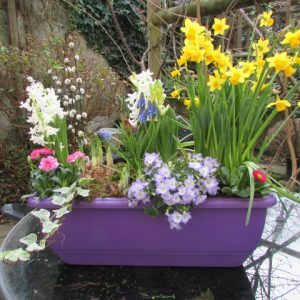 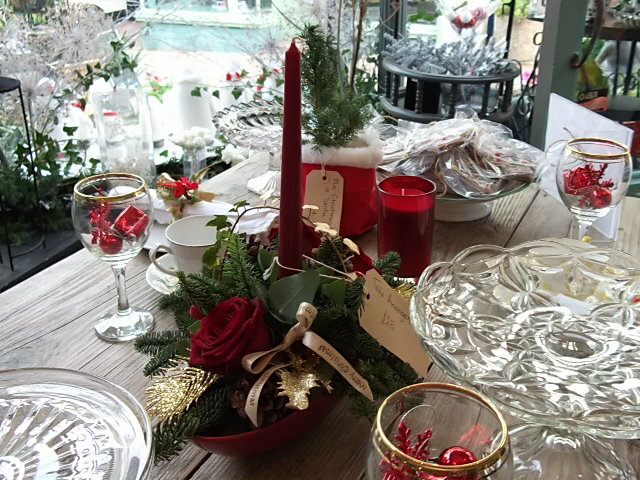 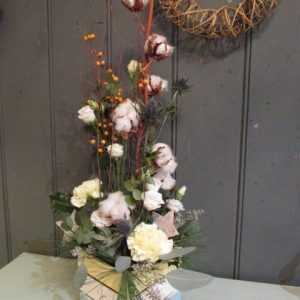 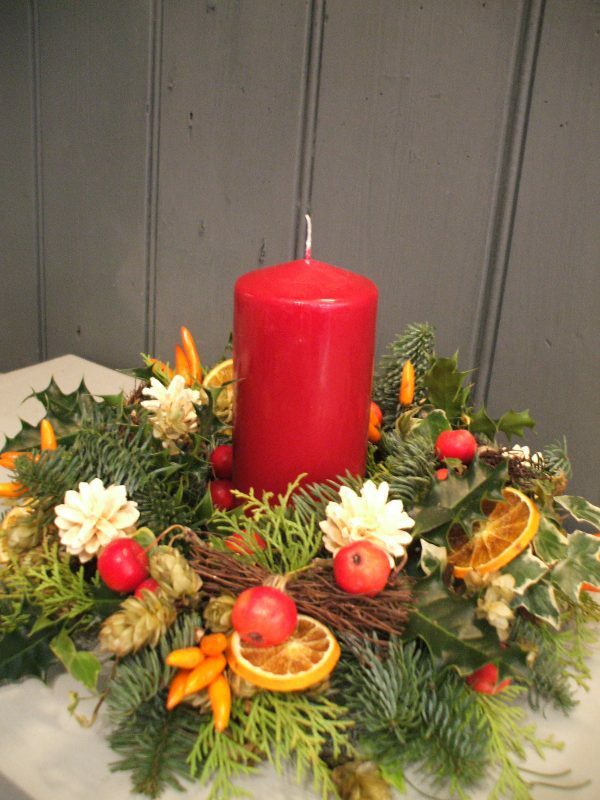 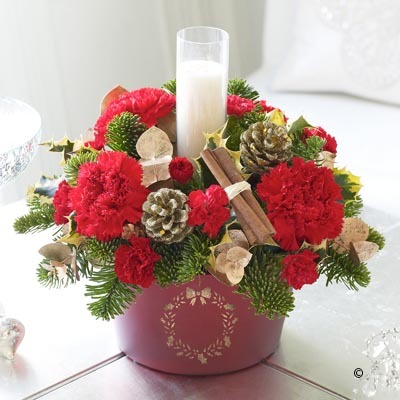 Christmas table arrangements are made to order. 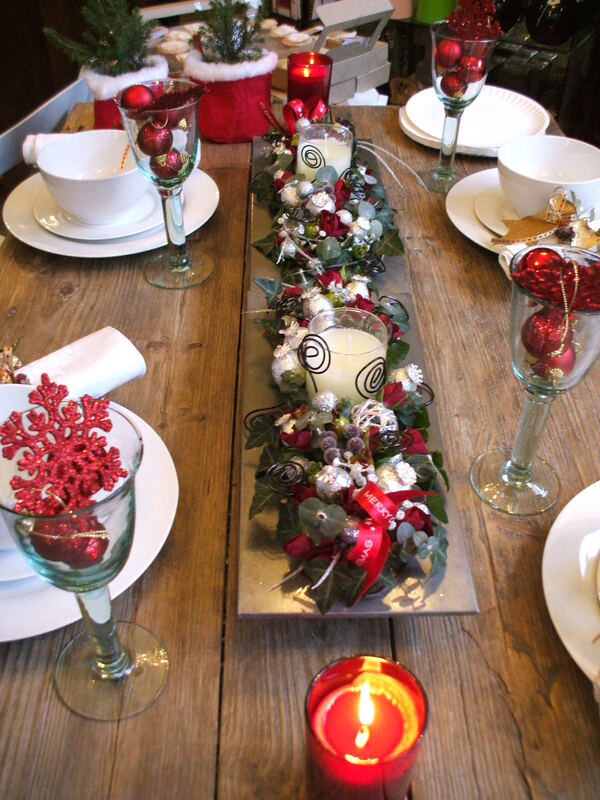 At the check-out let us know the following: First decide what shape and size you want (round or oblong) depending on what shape your table is and how many guests there will be. 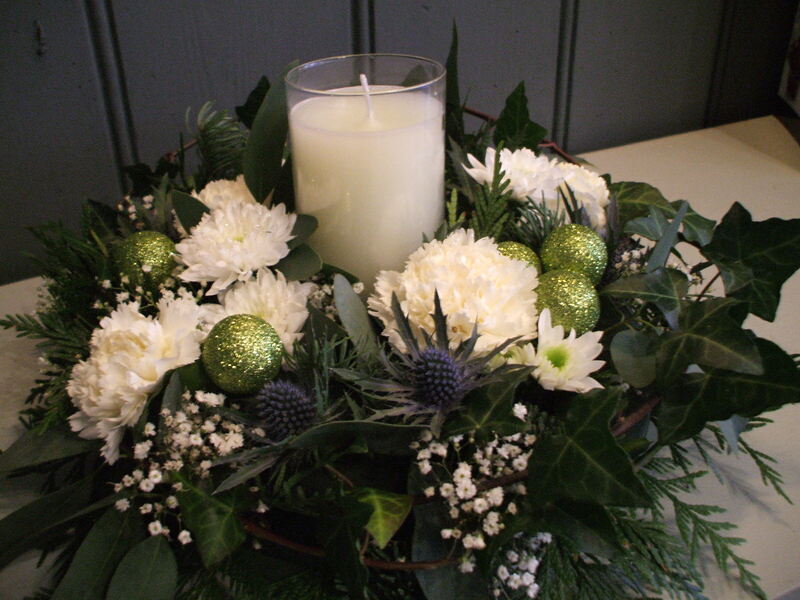 Then choose a decorative theme – traditional, natural decorations using pine cones, dried fruit and twigs or go for a more modern sparkly white, silver or gold. 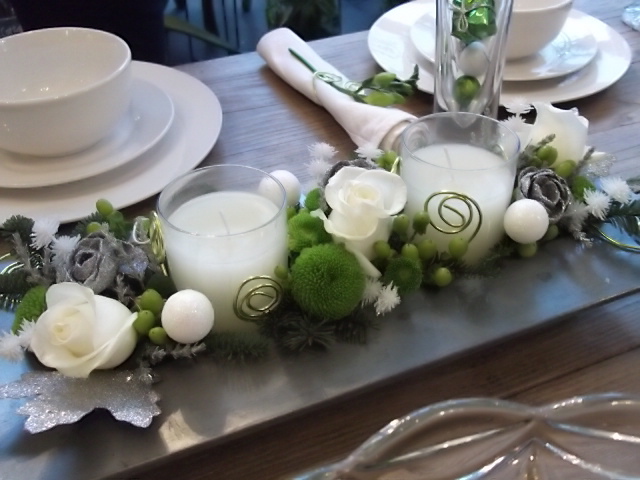 Candles can also be added.